Working with family as a Real Estate Team has many benefits. Our clients enjoy the fact that we all have the same values….honesty and a whatever it takes attitude to get the job done for you! Clients can also receive better service because we have more manpower to complete the many tasks involved in a real estate transaction. 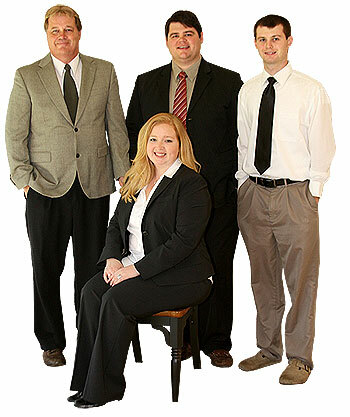 Patrick Orr, Ryan Orr, Aaron Orr, Susan Orr and Ashley Orr complete The ORR Home Selling Team. We specialize selling and helping purchasers buy residential dwellings, new construction, small acreage properties or large farms, investment property, small commercial properties, and subdivision development. We understand that part of our job is to help people with LITTLE DOWNPAYMENT MONEY because of current economics. This typically is not problem for us! Patrick’s background includes growing up in Delaware County and working in sales since high school, working for his parents in a wholesale family business. His education includes a B.S. degree from Ball State University in Business Administration, Auctioneer license and Mortage broker license in the State of Indiana. Many of the clients that we work with are past customers or friends of past customers! We appreciate your many referrals and love to see you come back to buy your dream home, or let us help your children buy their first home! The rewards are great when we see happy past customers! Thank you all for your business! Our goal is to give you your best options without the typical high pressure!! When you consult with us, you will be given an honest opinion with absolutely no obligation on your part. If you are looking to find a REALTOR® (& TEAM) that you can trust and depend on, please contact us for a confidential interview. Your call or email will be greatly appreciated.